2nd Wednesday & 4th Wednesday at 8:00 P.M. Unlike most other charitable organisations, our rules prevent us from using any money raised from the public to pay for our Club running costs. Instead all of our members pay a small subscription (around £60-£70 per year). The main purpose of the Club is to support the local community in which we are based (in and around Marston Green and Chelmsley Wood). Our 'What We Do' page gives a lot more details of the kinds of support and the activities this means. We need to raise funds so that we can carry out these activities. Over the last few years we have raised funds in a number of ways. Click the links below for more information. Fancy something a bit different for your fund raiser or social event or party? We can run our Race Night with a Difference for you. For a reasonable donation (reduced rate for charities) we can provide the racetrack, the horses, the Tote and an MC for the night. All you have to provide is the venue and the punters. Contact Simon on 07792 047546 or webmaster@marstongreenlions.org.uk to book this fantastic event. 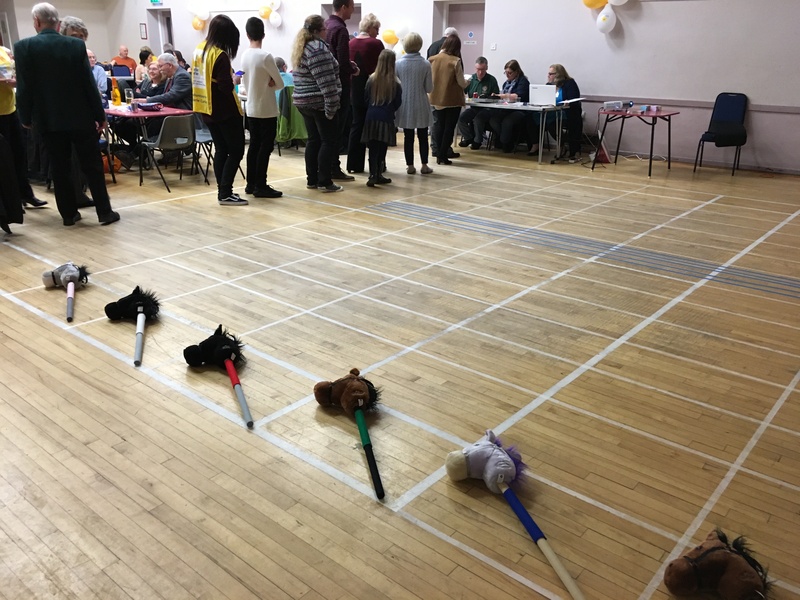 Most recently we raised over £600 for the Meriden Adventure Playgorund Association (MAPA) with onbly 38 people attending and previous events have raised over £1,000 with as few as 50 guests. The picture below shows the 'Jerry Cans' which can turn the dirtiest of water into clean water for drinking. 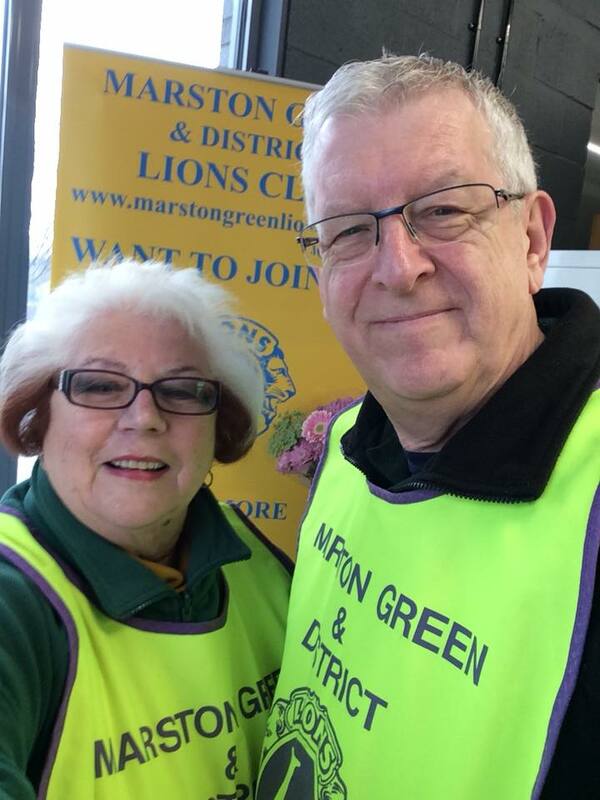 ASDA generously allow us to promote Lions health campaigns and collect to support Lions' activities on four occasions throughout the year in their Chelmsley Wood store. Thank you ASDA for allowing us to collect over £1100 for good causes during the last year. For the last 35 years or so Marston Green & District Lions have taken Santa round the streets of Chelmsley Wood and Marston Green bringing a smile to many a child's (and adult's) face and raising much needed funds that enable us to help the local community. 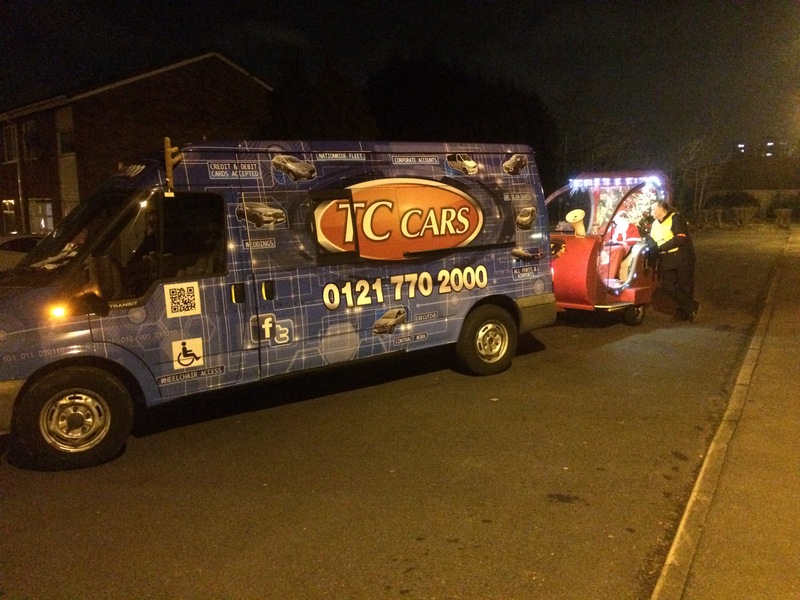 Santa on his sleigh 2014 with towing vehicle provided by TC Cars who also loaned us a vehicle for 2015 thru 2017.